Sunscreen only protects you from the damaging rays of the sun if it stays on. 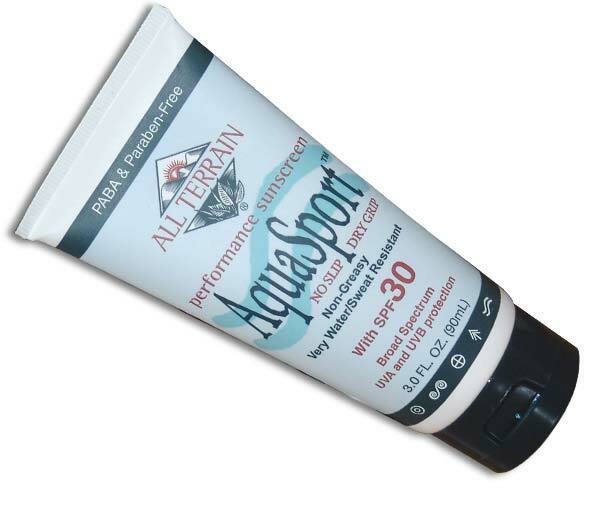 Our waterproof sunscreen turns the trick and is made from natural ingredients as well. Waterproof Sunscreen w/SPF30 uses Z-Cote® which offers the broadest UVA/UVB spectrum protection available. No Slip/Dry Grip, No Eye Sting. AquaSport is carefully designed and tested to provide maximum protection from ultraviolet in both the UVA and UVB ranges.